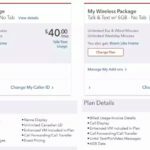 After Rogers and Fido launched a $60/month BYOD promo plan with 10GB of data for customers in BC, Alberta and Ontario, it now appears Bell is ready to join the mix, set to offer the same plan as of December 15, 2017. Update: Koodo has joined the battle out west by offering $60/10GB to BC, Alberta and Ontario. The information comes via a Best Buy Mobile flyer (or you can visit any Bell/Virgin store), which is advertising this $60 per month plan with unlimited Canada-wide calling and text and 10GB data. The data bonus is only good for 24 months, matching Rogers/Fido. More details should emerge once this plan goes live tomorrow and when it does, we’ll be sure to update this post. Also, some users on RFD are also stating Koodo is set to launch a similar plan tomorrow, while parent company Telus will also issue a response tomorrow at some time. These simultaneous ‘Big 3’ price wars can be linked back to Freedom Mobile’s $60/10GB offering, which is putting pressure on incumbents, especially now that the former sells iPhone X, iPhone 8/8 Plus and more. Update 2, Dec. 16: This plan is now available in Ontario.